was recently announced with KIKA-Der Kinderkanal as a co-production partner and with support from one of KIKA’s parent companies, HR-Hessischer Rundfunk of ARD as well as ABC4Kids. The newly commissioned episodes are exclusive to Australian broadcast partner, ABC4Kids and the series will be internationally distributed by 9 Story Entertainment. The series is based on the bestselling book, GUESS HOW MUCH I LOVE YOU™, published by The Walker Books Group and written by Sam McBratney and illustrated by Anita Jeram. The book, which is published in 53 languages, has sold 28 million copies globally and is celebrating its 20th anniversary later this year. The animated series relates the adventures of the Nutbrown Hares and their friends with the same endearing charm and love that has made the book a timeless story time favourite. or the frozen landscape of Winter. 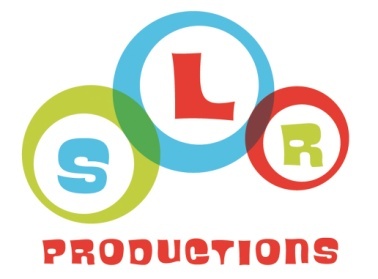 SLR Productions is one of Australia’s leading Emmy and multi award winning children’s entertainment companies, specialising in the creative development and production of world-class media content. Established in 2002 by CEO, Suzanne Ryan, SLR is recognised for creating successful brands such as Action drama Sam Fox: Extreme Adventures, the internationally acclaimed preschool property, Guess How Much I Love You™, the hilarious cartoon series GASP!™ and the Emmy Award winning animated series I Got a Rocket™. SLR’s passion is to make creative, adventurous, imaginative and exciting programmes for audiences worldwide. The company has produced more than 130 hours of content sold in more than 160 territories worldwide. With its highly experienced development and production divisions, SLR partners with major broadcasters, producers, distributors, publishers and creative both locally and internationally to create hit shows with a truly global reach. « Review: The new Scooby-Doo: Franken Creepy!